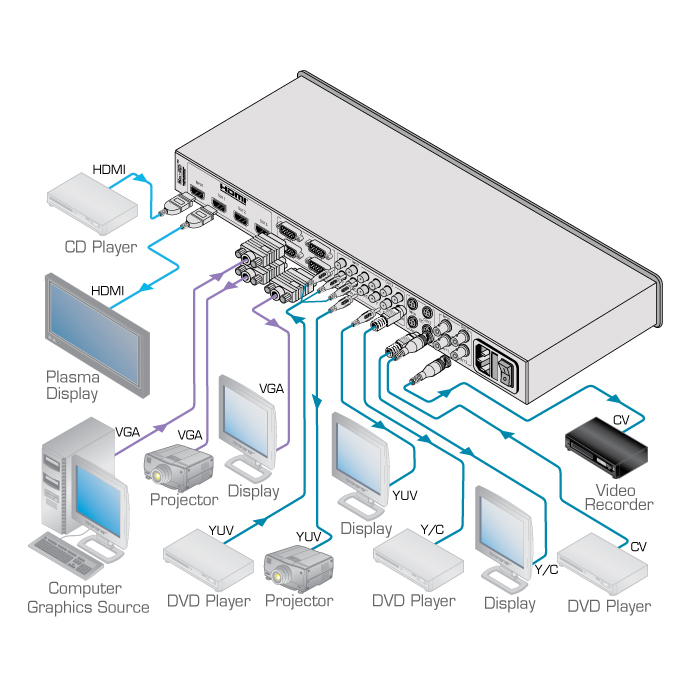 The VM-73 is a 5-input multi-format distribution amplifier for composite, s-Video (Y/C), component (YUV), computer graphics video and HDMI signals. The unit is five 1:3 distribution amplifiers in one package. High Bandwidth - Composite: 430MHz; s-Video (Y): 440MHz; component (YUV) 430MHz; computer graphics video: 405MHz (all values at -3dB). Max. Data Rate - 6.75Gbps (2.25Gbps per graphic channel, HDMI).